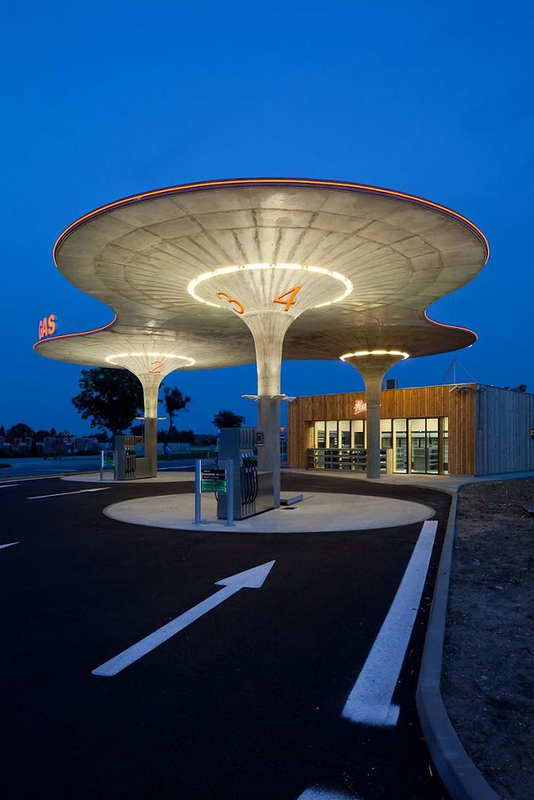 HomeBlogArchitectureA Design Gas Station by Atelier SAD. 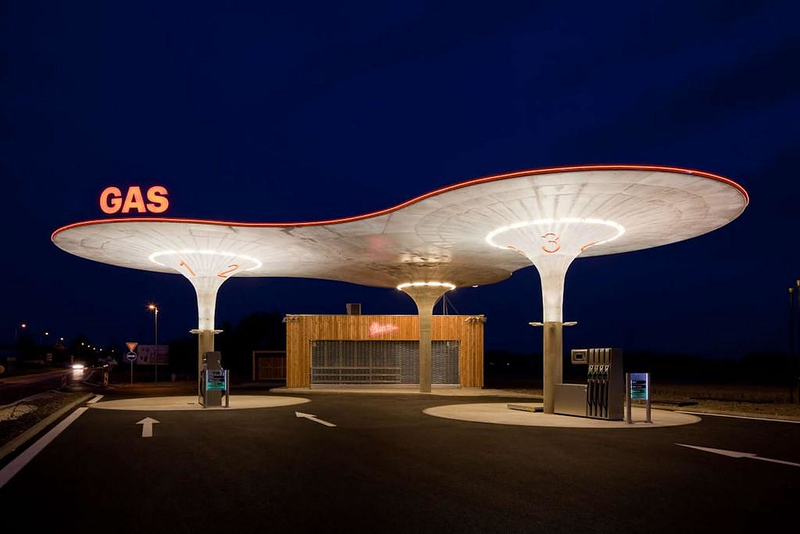 With the fuel prices rising, costumers do not feel keen on leaving their money to obsolete and derelict gas stations. 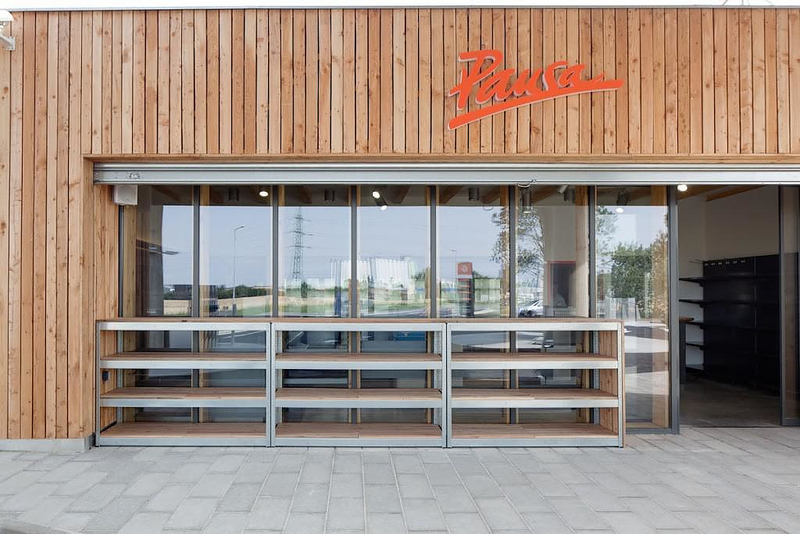 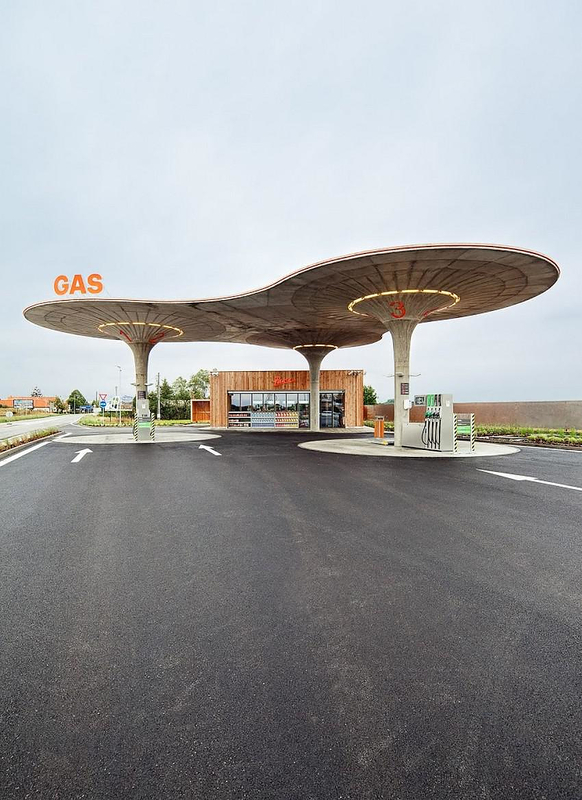 This must have been the thought the owners had in mind when choosing Czech based architectural studio Atelier SAD to design a unique gas station in the Galanta, Slovakia. 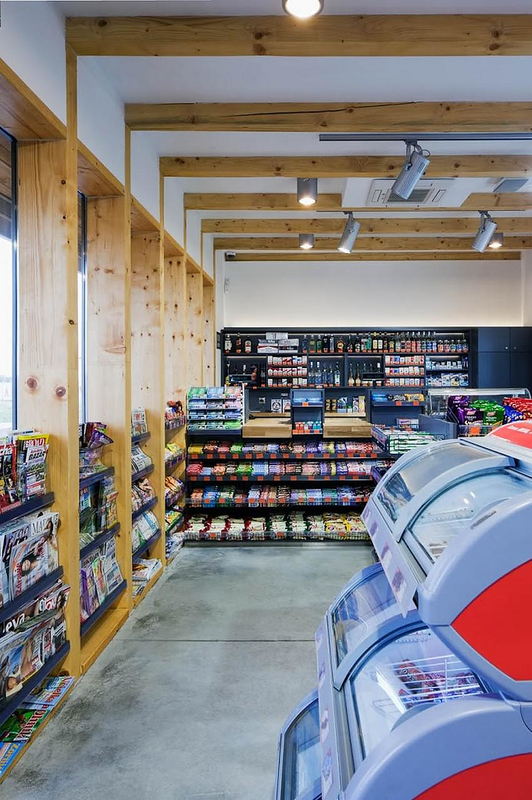 After all, image matters and a sleek looking space of any commercial shop, including even gas stations, prepossesses the costumers for better service. 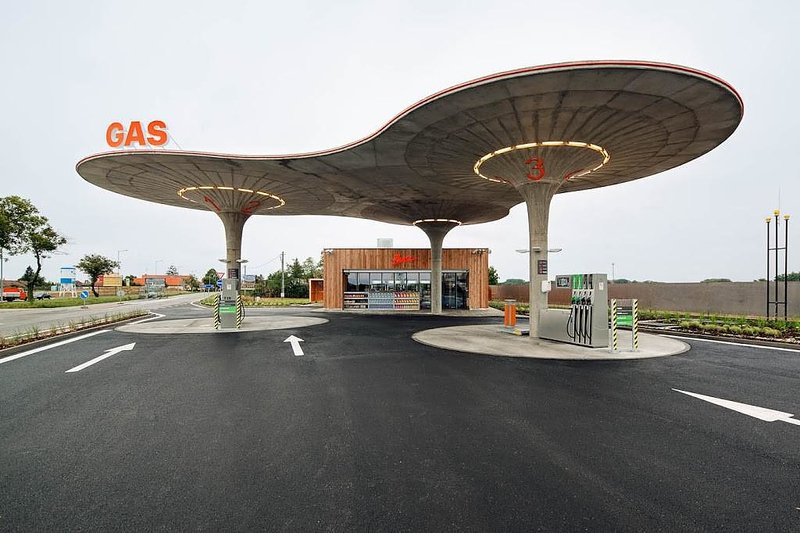 Most gas stations are prefabricated constructions using just the brand colors to stand out from each other. 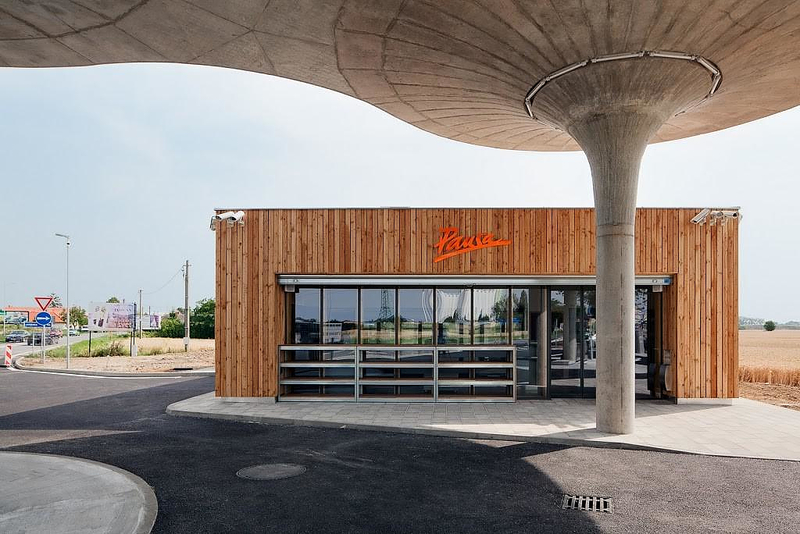 Prefabrication works in this case, in terms of function: a high rise canopy for protection for sunlight and rain, visible for afar to pinpoint the gas station’s location and a small building for additional uses below. 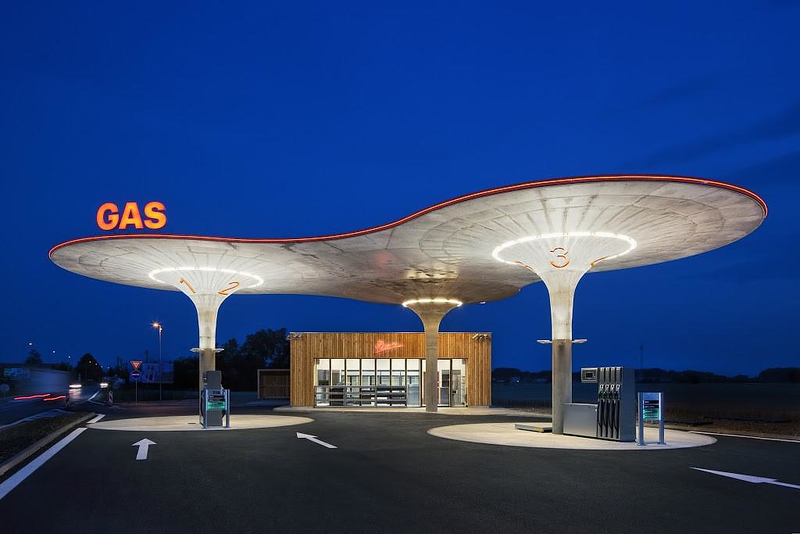 The gas station designed by Atelier SAD fulfills this basic purpose as its organic form canopy certainly stands out from a distance. 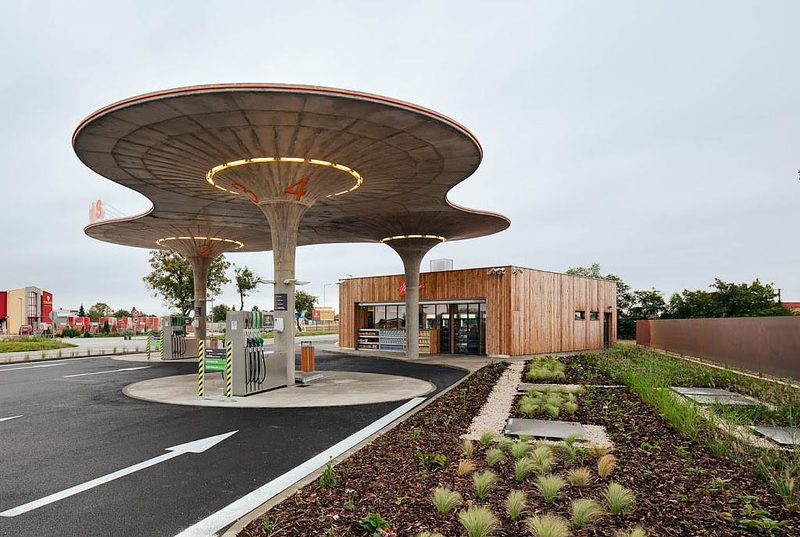 The structure is based on three funnel-shaped columns made of concrete that merge with the three circular canopy disks. 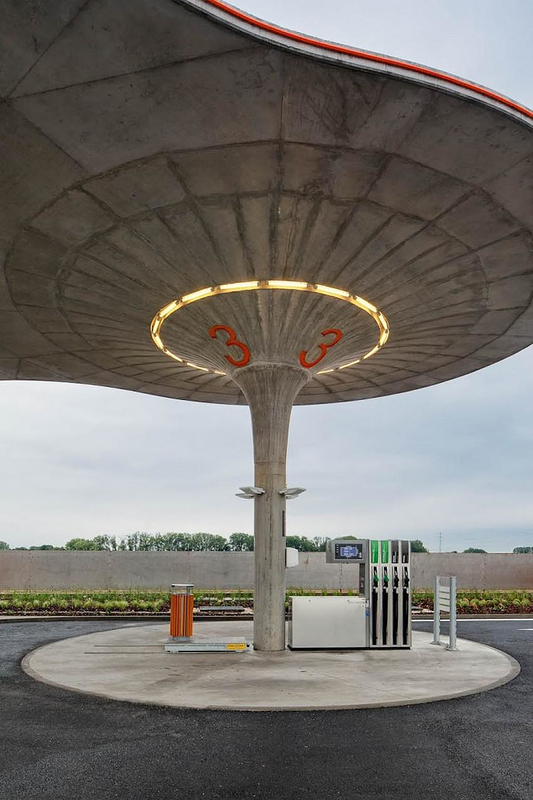 At their meeting end a ring of light sheds light below and pinpoints the gas stations location. 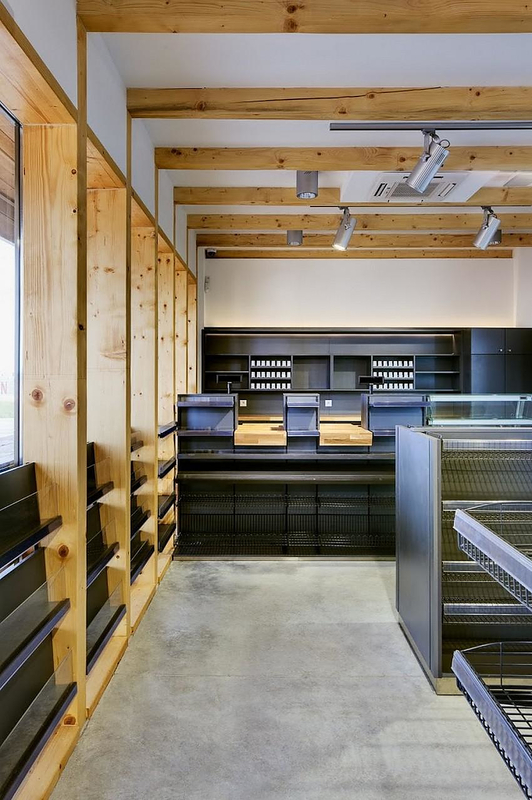 The adjusted shop and functional utilities space is covered in pine wood, a material also met in the interior part of the building. 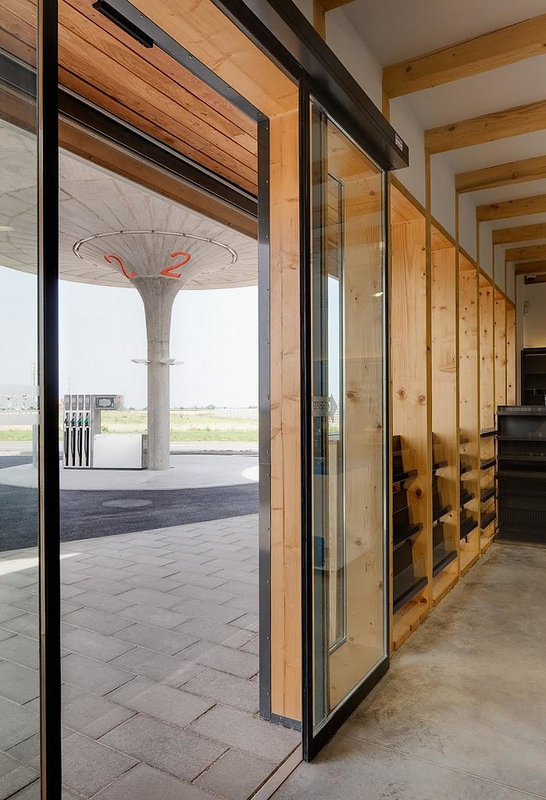 The floor also is made of concrete in an additional attempt to blend the interior with the exterior part.